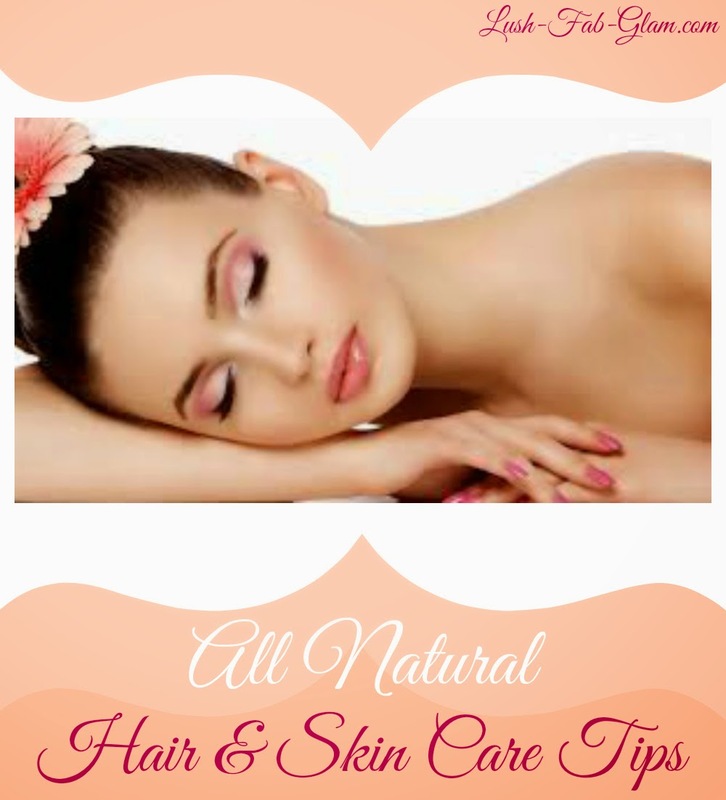 Lush Fab Glam Inspired Lifestyle For The Modern Woman: All Natural Hair And Skin Care Tips. If like us, you are skipping the over-the-counter beauty products and on the hunt for safer, more effective and most importantly natural ways to care for your skin, face, hair etc. Then read on to learn how everyday foods like soy milk, banana and even cinnamon can make a world of difference in your beauty routine! Forget those pricey beauty counter toners and collagen creams and opt for Soy milk instead. Soy milk is not only for lactose intolerant individuals to drink, in fact it contains genistein which increases our collagen levels and helps to block enzymes that breakdown and age our skin. During your next facial cleansing routine apply soy milk to your face using a cotton ball and leave it on for 15 to 30 minutes. Need to zap that annoying pimple? Simply dab a cinnamon and honey mixture on it. Studies have shown that the antibacterial, antioxidant and anti-inflammatory qualities of cinnamon makes it a highly-effective and all natural way to treat acne. What's the point of having clean, beautiful hair if the brush you use is filled with product build up? Not sure how to get rid of the unwanted dandruff, oil, dirt and product build up in your hair brush and combs? Simply soak them in a mixture of warm water and four tablespoons of baking soda and they will be squeaky clean and ready for your next fabulous hairdo! While a banana a day keeps the doctor away, don't throw away those peels because it's a fabulous and chemical free way to get your pearly white smile. Rub your teeth with the inside of the peel and leave it on for ten minutes, then brush your teeth. Make this a part of your daily routine or do it several times a week for the same fabulous results as using an expensive over the counter teeth whitening kit. Which of these beauty tips will you try? Share with us by leaving a comment below. Natural beauty tips are always the best! Thanks for sharing. I’ll be sure to try some of these.